The Modern Toronto Furnished Rental Apartment is a luxury suite located near Yonge and Yorkville Avenue, beside the Four Seasons Hotel. 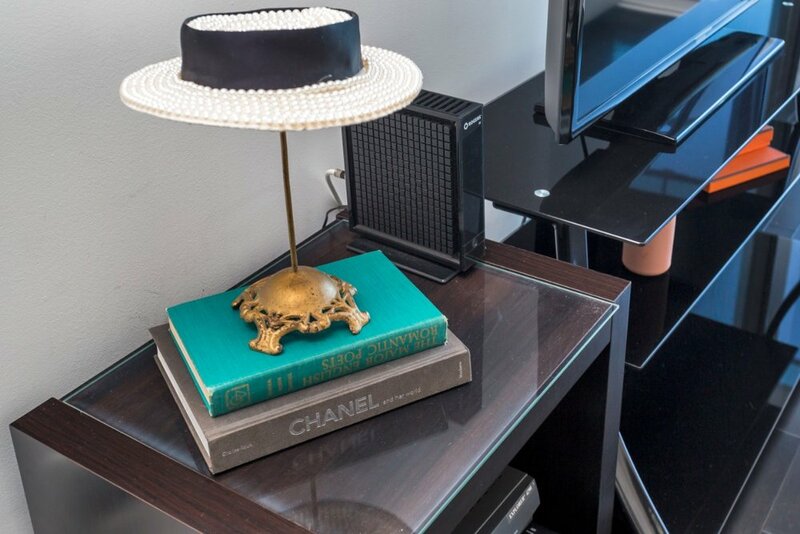 Stylish design, perfect for an executive client accommodation. Short term and long term rental available. 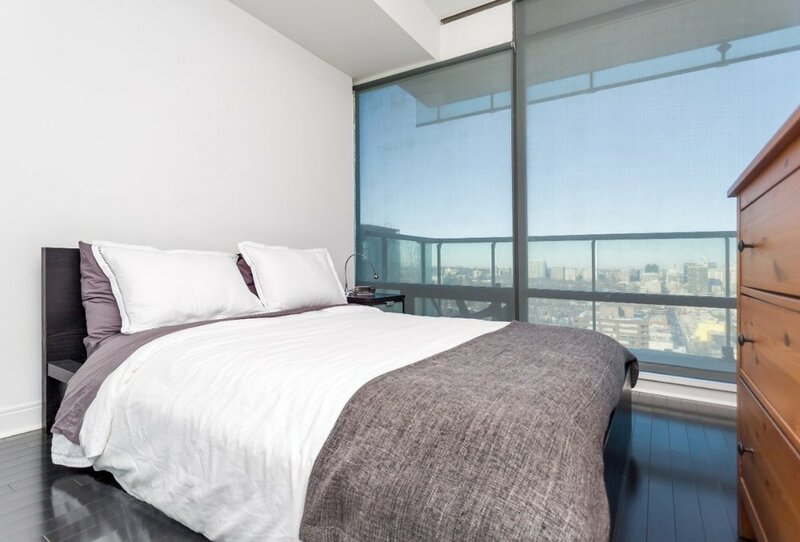 This beautifully furnished 1 Bedroom + Den rental is in a very desirable part of Yorkville. 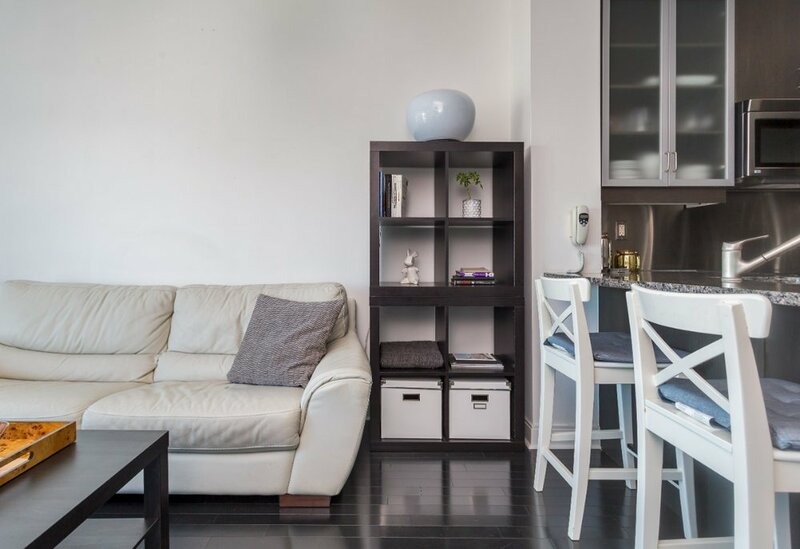 The furnished apartment is elegantly appointed with new furniture and provides a comfortable and private living space, with the top nearby amenities nearby. 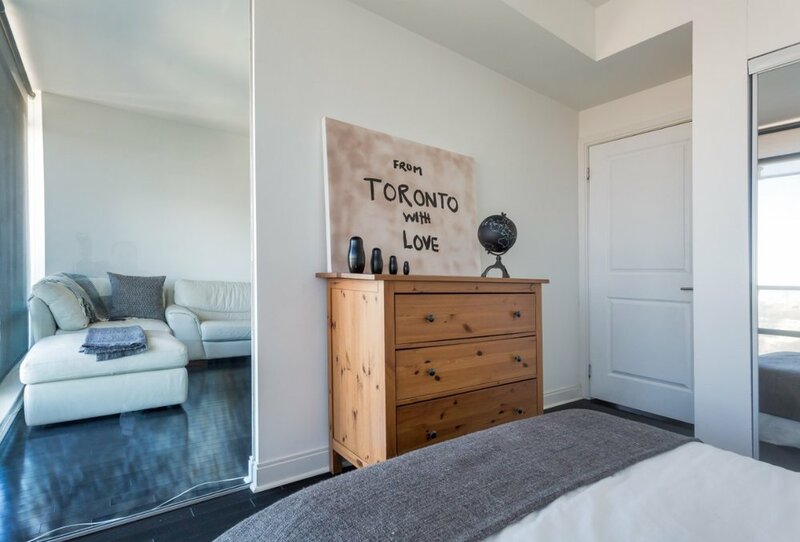 From the Modern Toronto Furnished Rental you can walk to many of Toronto's best restaurants, cafe's and boutiques within 5 minutes. This luxury furnished rental apartment is roughly 650 square feet, and has a walk-out balcony overlooking the famous Rosedale Reservoir. 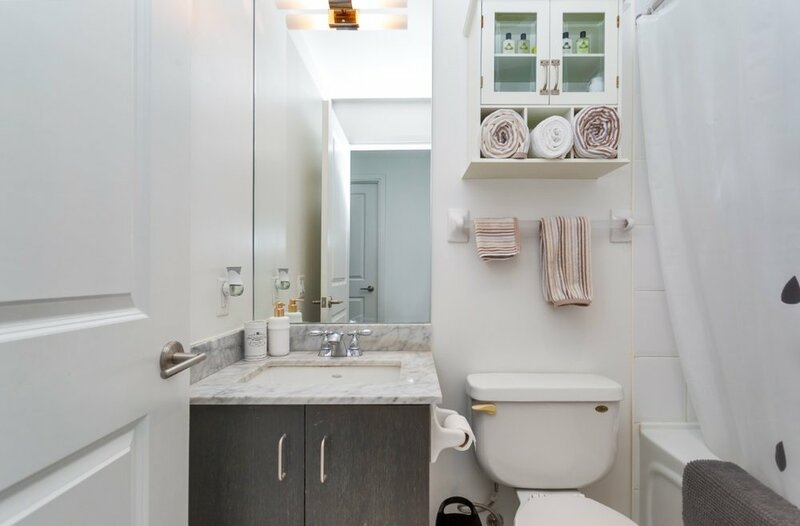 One of our most elegant furnished short term rentals in Toronto, this Modern Toronto Furnished Rental includes stylish dark grey hardwood floors through-out, contemporary furniture. 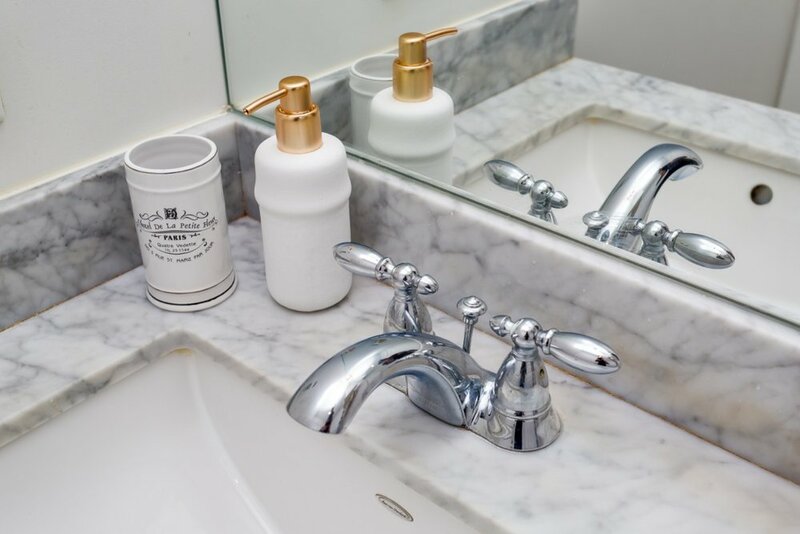 All the necessary bedroom and bathroom linens are provided to make your stay super-comfortable. Our kitchen includes stainless steel appliances and is stocked fully for any and all cooking and hosting occasions. This furnished rental suite is part of our exclusive Yorkville Furnished Apartments Toronto Collection. Our lease terms are always flexible. The exit cleaning fee of $110 applies to all stays. Underground parking can be added to your stay for an additional $200/month. 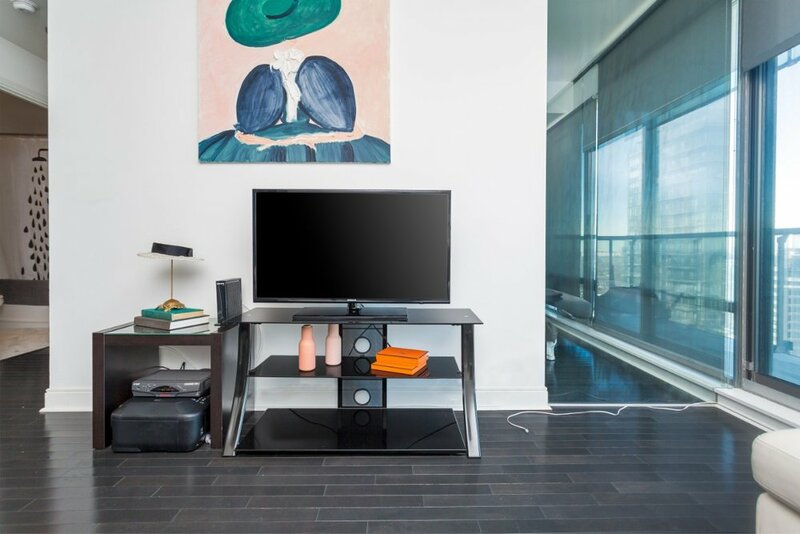 No extra taxes or fees apply to your furnished rental stay. All premium amenities are included with this furnished apartment: Utilities, Hydro, Electricity, Water, Unlimited Hi-Speed WIFI Internet, Cable TV, Bed Sheets, Kitchen utensils, Bath Towels/Linens, washer/dryer and dishwasher are in the condo. 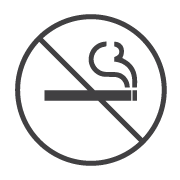 Building facilities include a large gym with stationary bikes, treadmills, stair-masters, weight machine, free weights. The Stylish Modern Toronto Furnished Rental Apartment is in Yorkville, next to the Four Seasons Hotel. Everything you need is about a 5-minute walk - the subway station is 2 blocks away and about a 3-minute walk. There are several grocery store options in your area, including Whole Foods Market, Longo's Market or the Bloorstreet Market in the Manulife Centre - all less than a 10 minute walk away. High-end stores in this area include Hermes, Louis Vuitton, COS and restaurants such as Cafe Boulud and Buca Osteria.